Are you ready for some football?!?! We are! From the roar of the crowd, to the kick of field goals, and the sweet taste of tailgate bites – this post was screaming to be written. 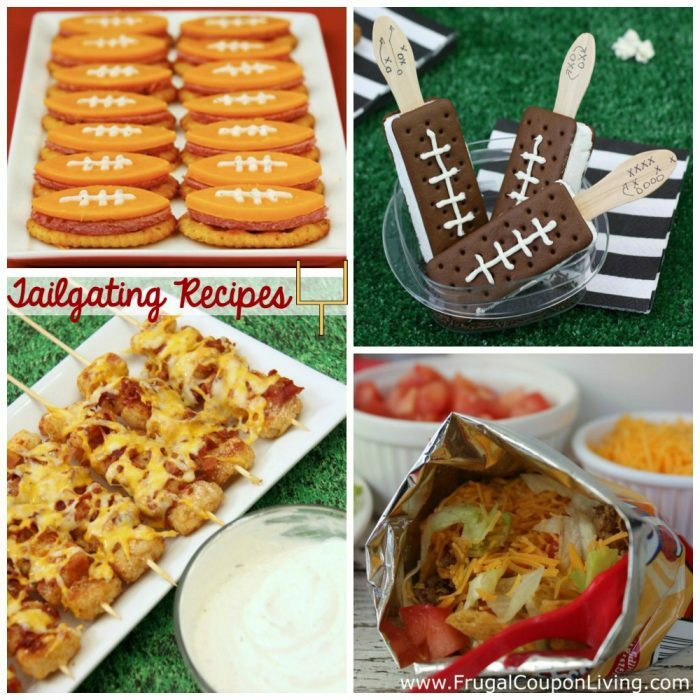 Take a look below at some of our favorite tailgating recipes. 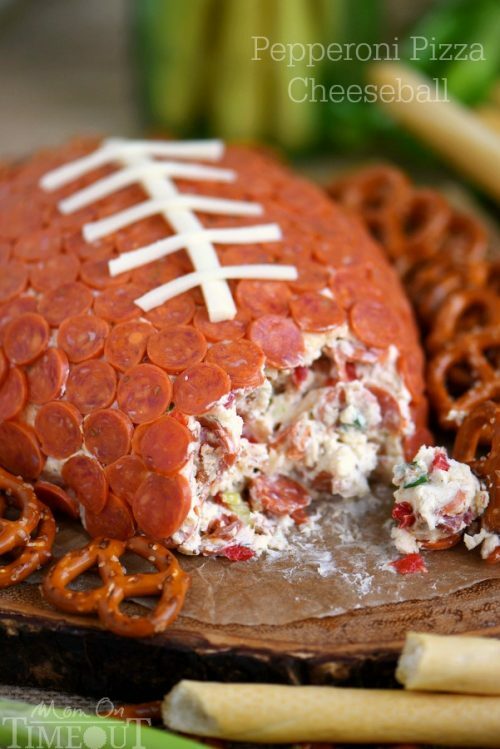 We love how many different foods can be turned into a creative football or how many dips are begging for a chip! Happy gathering! 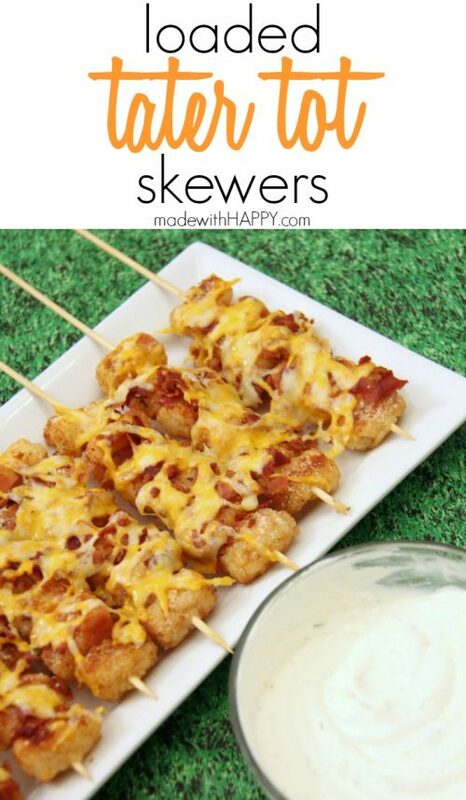 Loaded Tater Tot Skewers from Made with Happy. 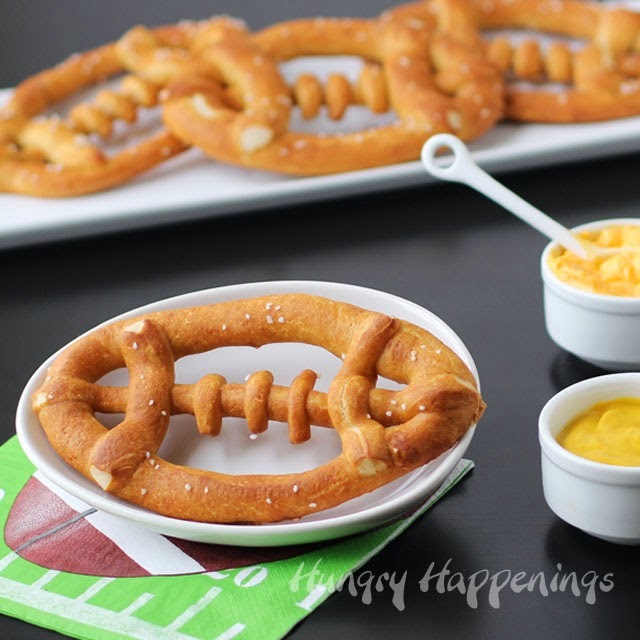 Salted Beer Soft Pretzel Footballs from Hungry Happenings. 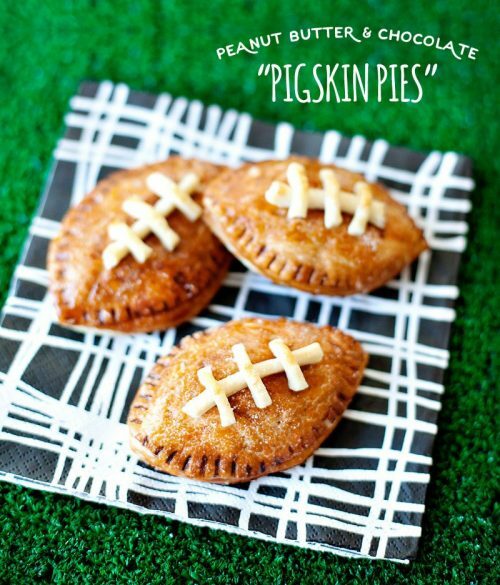 Peanut Butter & Chocolate “Pigskin” Pies from krusteaz and Hostess with the Mostess. 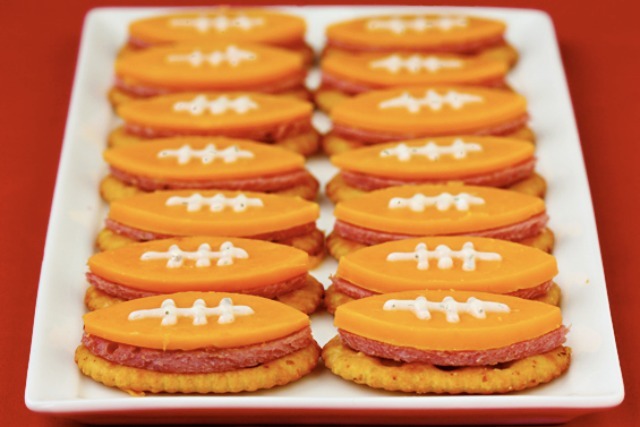 Football Bites (With Summer Sausage, Cheddar & Ranch) from Gimme Some Oven. Pepperoni Pizza Cheeseball from Mom in Timeout. 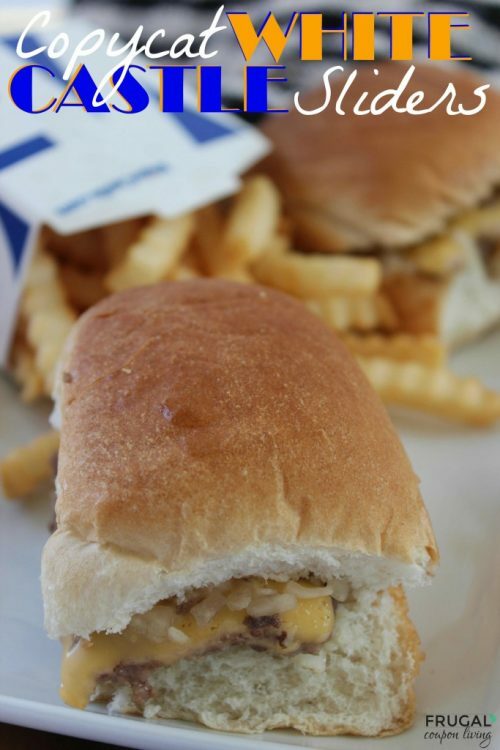 Copycat White Castle Sliders from Frugal Coupon Living. 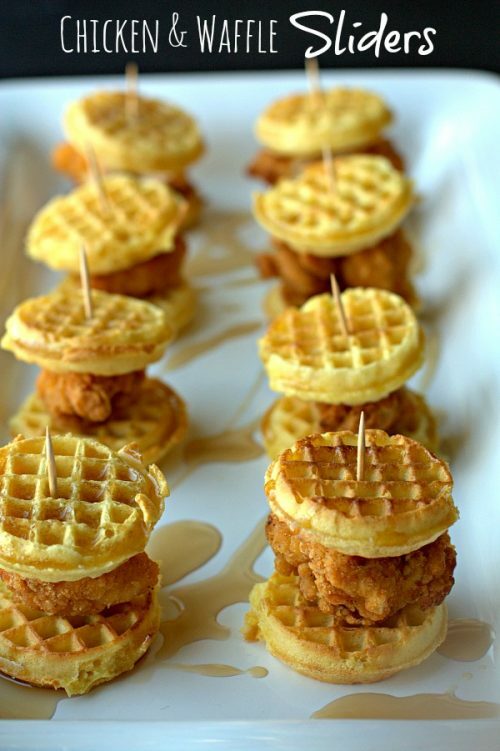 Chicken and Waffles Sliders from Food Folks and Fun. 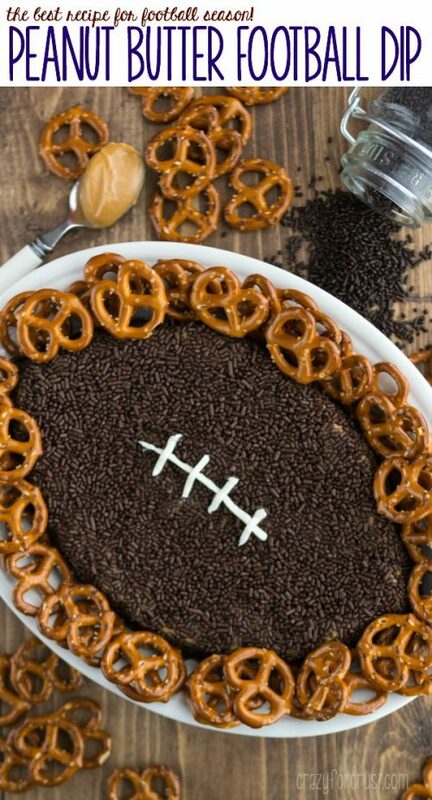 Peanut Butter Football Dip from Crazy for Crust. 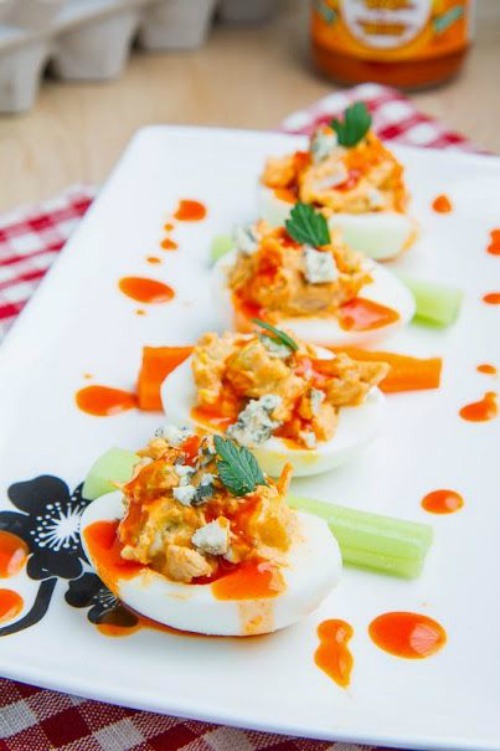 Buffalo Chicken Deviled Eggs from Closet Cooking. 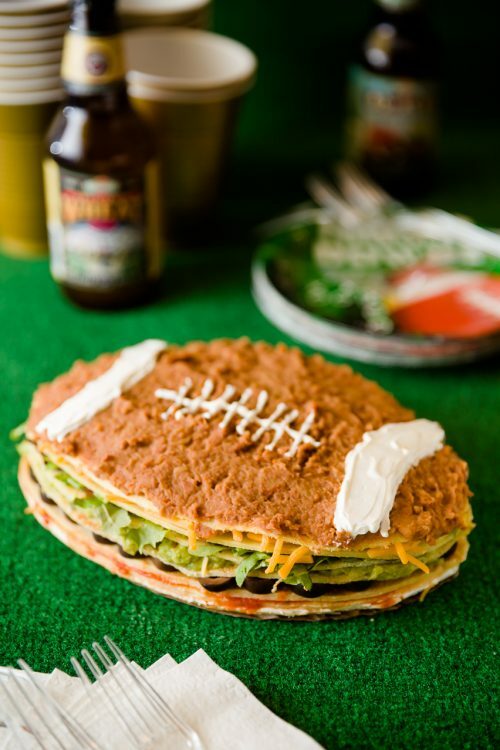 Football Seven Layer Dip Crepe Cake from Cupcake Project. 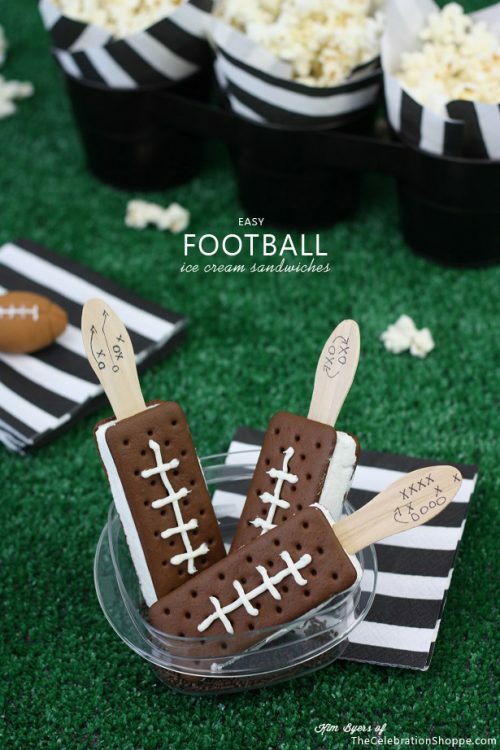 Ice Cream Sandwiches from Celebrations Shoppe. 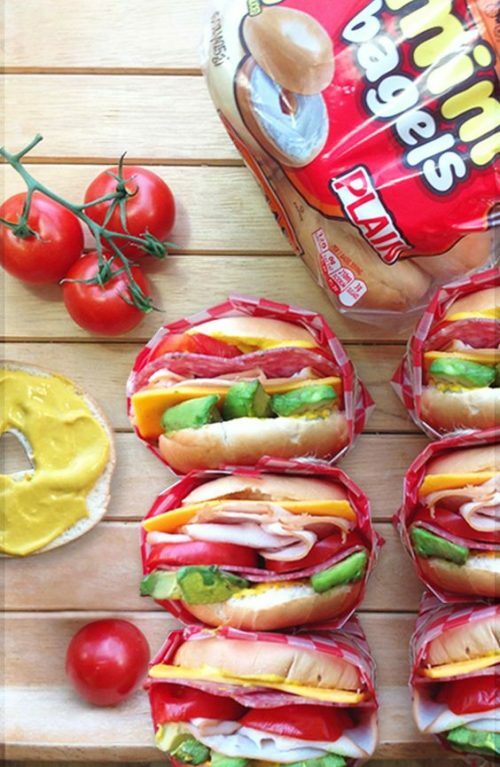 Tailgate Mini Bagels from Thomas Breads. 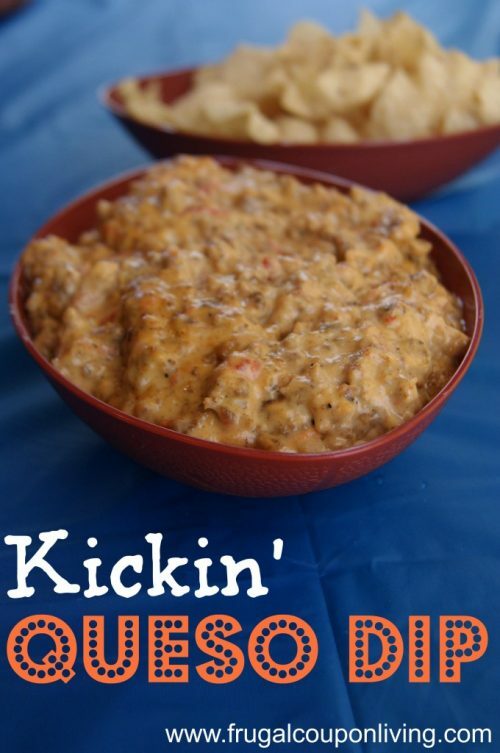 Kickin’ Queso Dip on Frugal Coupon Living. 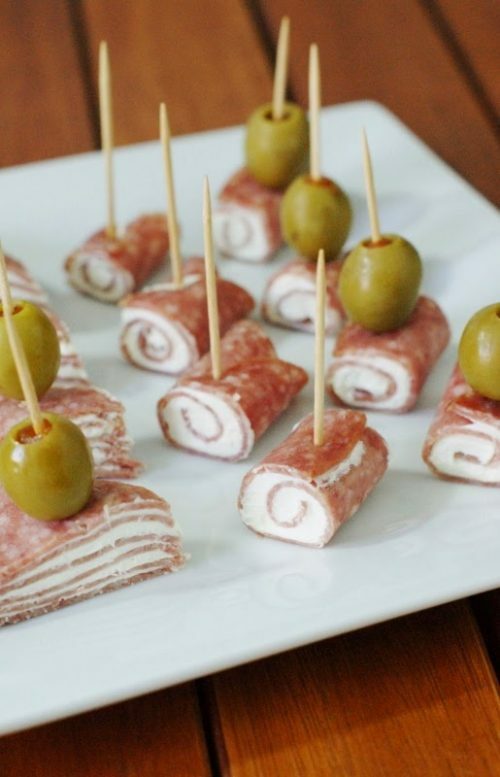 Salami Cream Cheese Bites from The Kitchen is My Playground. 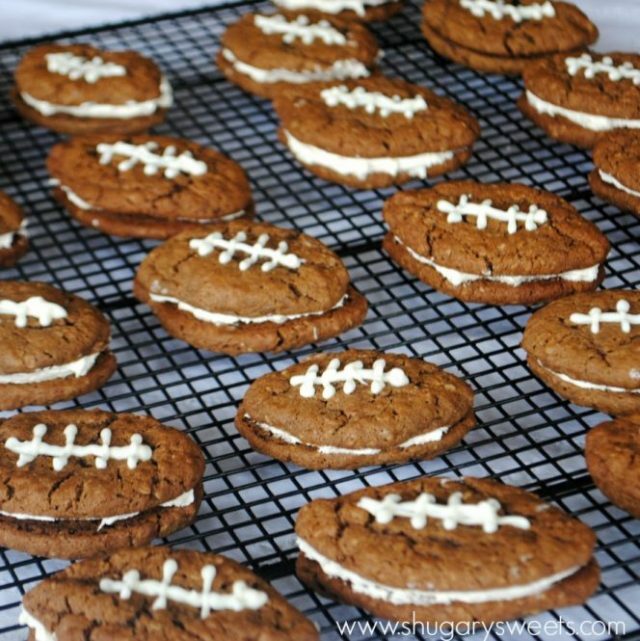 Chocolate Oatmeal Cream Pie Footballs from Shugary Sweets. 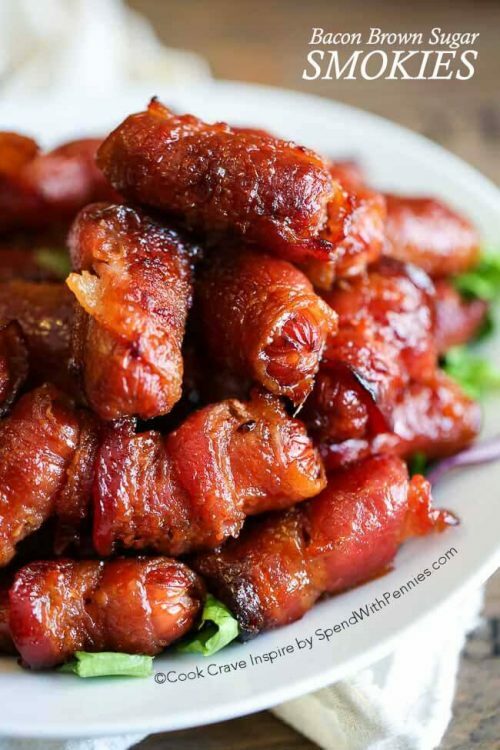 Bacon Brown Sugar Smokies from Spend with Pennies. 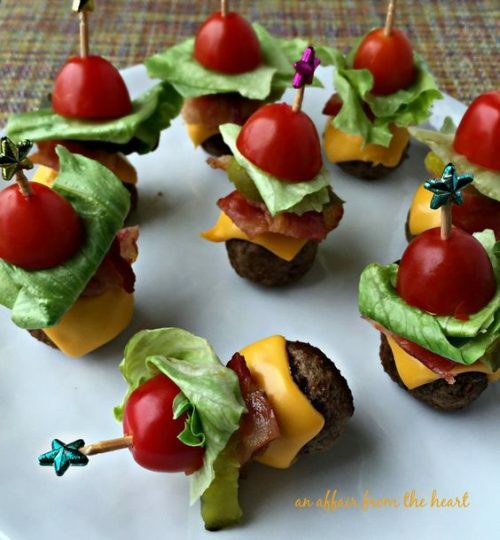 Bacon Cheeseburger Meatballs from An Affair from the Heart. 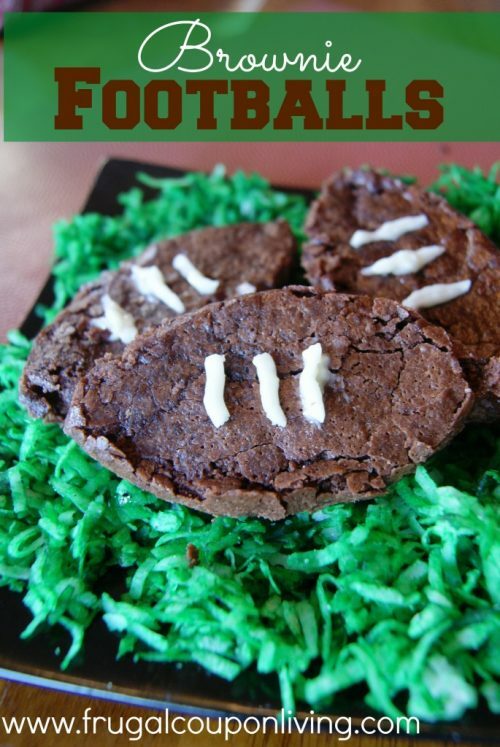 Brownie Footballs on Frugal Coupon Living. 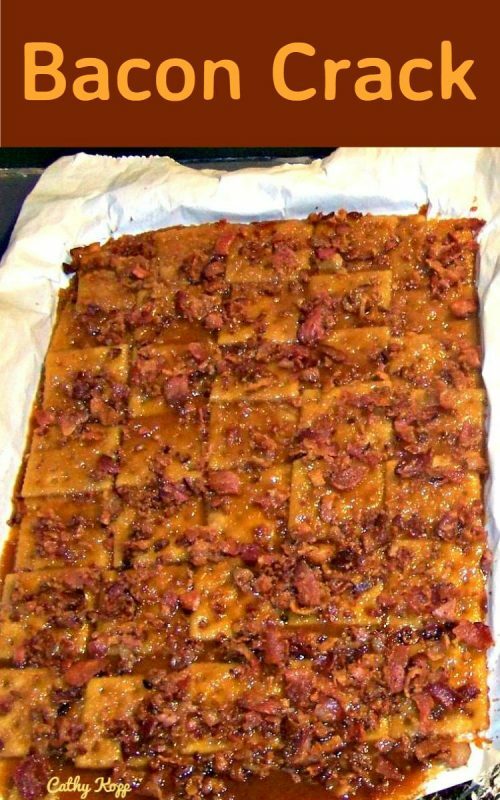 Bacon Crack from Love Foodies. 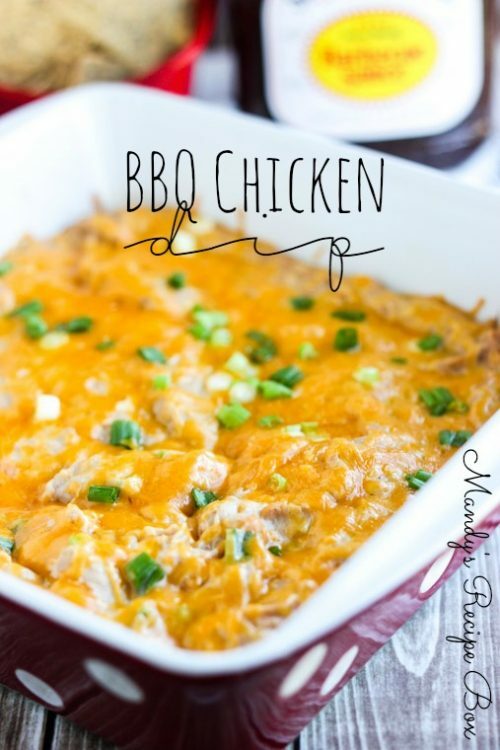 BBQ Chicken Dip from Mandy’s Recipe Box. 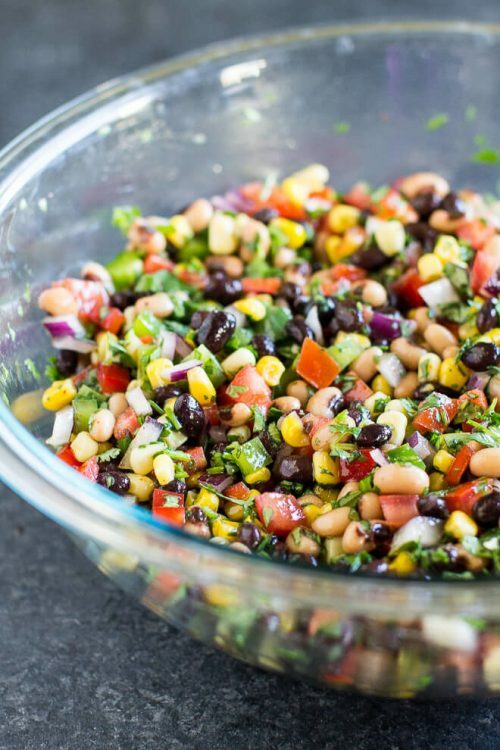 Cowboy Caviar from Culinary Hill. 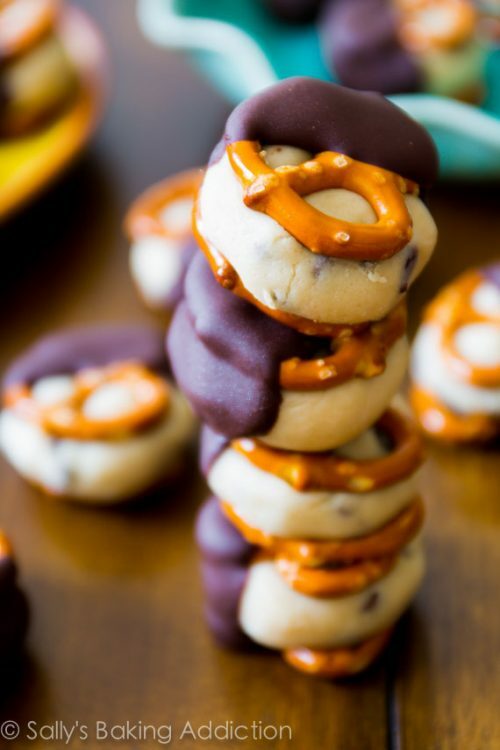 Cookie Dough Pretzel Bites from Sally’s Baking Addiction. 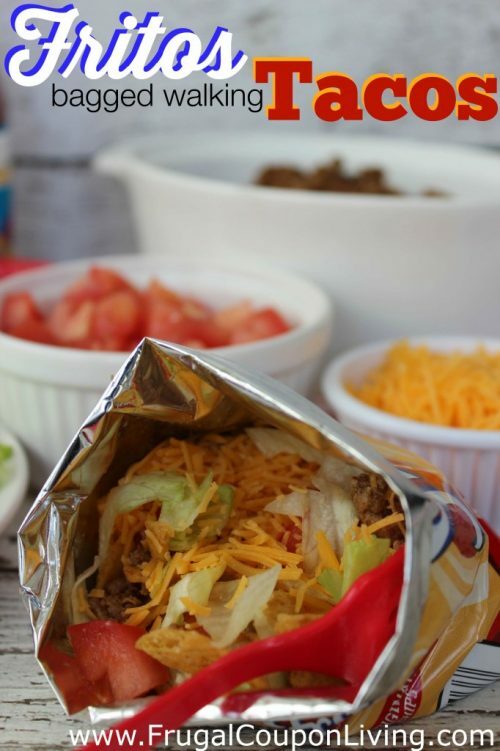 Walking Tacos from Frugal Coupon Living. Earlier game times? 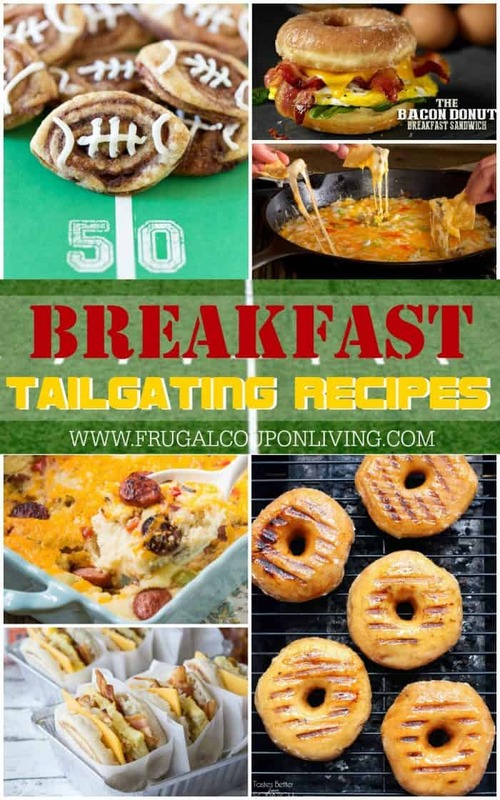 Try these Early Game Tailgate Recipes for Breakfast. Pin to Pinterest. Is the game pro bowl game? 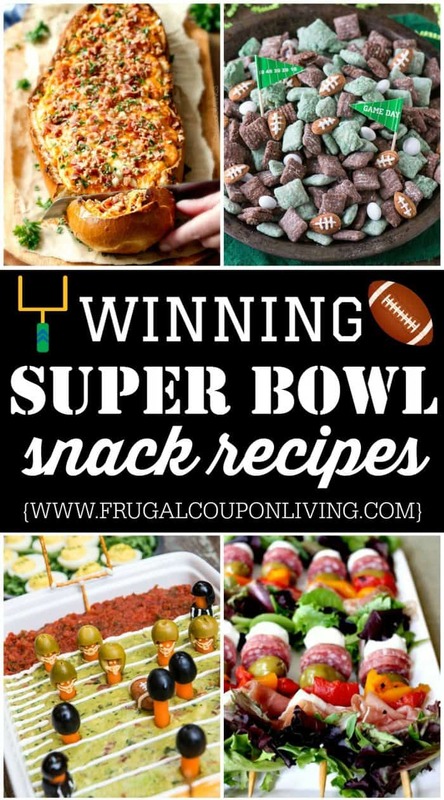 Check out these Winning Super Bowl Snack Recipes. Pin to Pinterest. 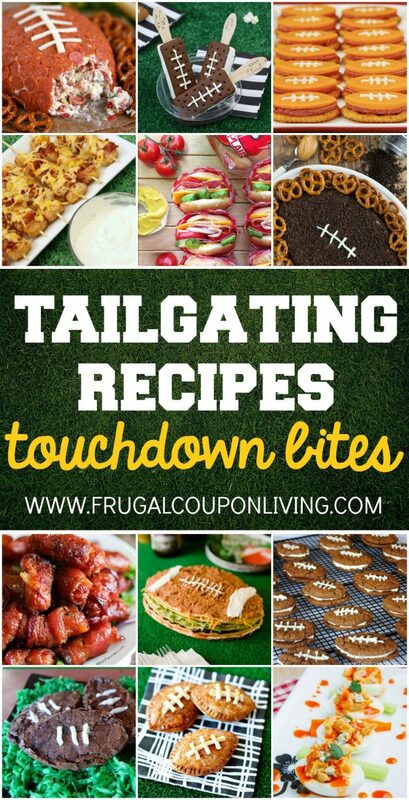 Also check out these Fabulous Wing Recipes. Pin to Pinterest. 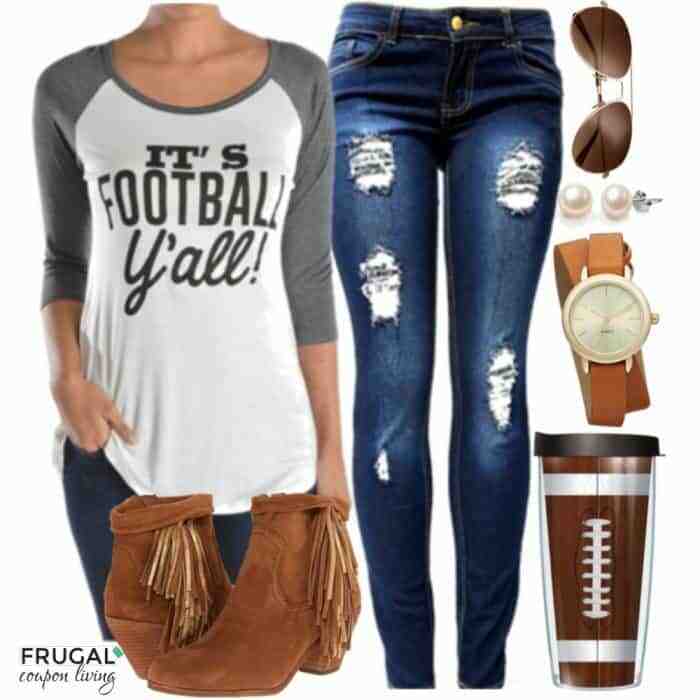 We also are inspired by some Football Fashion – take a look at this Southern Football Outfit. Pin to Pinterest.